A place to share my crafty side. Thank You to my Friends and Followers! Greetings fellow crafters and welcome to another Tip Top Tuesday Challenge. For this challenge we are making something cute! 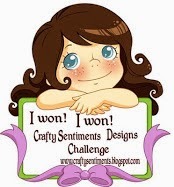 For this challenge I was given the privilege to work with an adorable image by Sami Stamps called Umbrella Girl. You can find a tutorial on how to use Flocking on your project here. You can also find more tutorials on my tutorial tab here. So my life has been crazy lately and my mojo has left the building. I sat down Sunday afternoon when I realized I had to make this card to post for today....I had the idea of paper piecing the image but beyond that no ideas. So this card kind of evolved as it went. I've chosen a winner for my 100 follower blog candy drawing and will be posting it tomorrow morning so if your a follower check back tomorrow to see if your the winner! So now onto my goal of 175 followers! If you become a follower I'll send you a shout out on this weeks Feature Friday post and link your blog so others can visit you too. Wonderful card I love the image and the back ground is very pretty. Google isn't being friendly at all! I've tried to follow you and many other blogs in the past week. Sometimes I can sign up a different way, but not today. I'll keep trying. It doesn't look like your mojo has left. I think this card evolved amazingly! 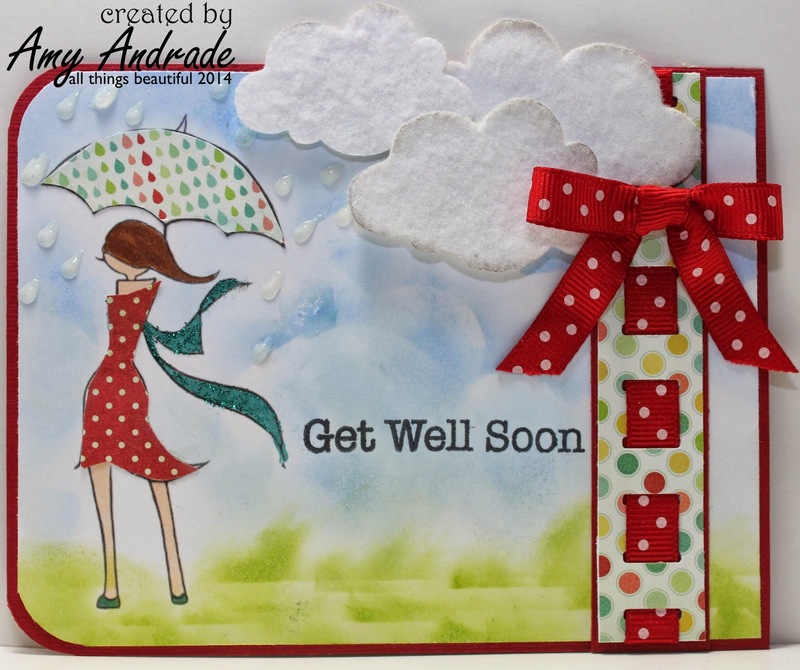 I love this card...the fluffy clouds and just love what you did with the ribbon! Thanks for joining us at BBTB2. Beautiful crad Amy, love the background! The ribbon through the paper is great! Thanks for joining the TTCRD challenges this week. Your card is so pretty! LOVE all the papers/patterns/colors you included and that image is fantastic! Thanks so much for sharing with us over at BBTB2 this week! Well, I'd say this card evolved beautifully! The dp for the umbrella is perfect, and I love the gray clouds. The raindrops look AMAZING, and the sponged background is something I'm going to have to try, myself! Such a beautiful card Amy! I love the colours you've used! Very pretty! Glad you came by to join us at BBTB2! I just adore this card!! I love the ribbon weaved in and out! Thanks for joining us at Bitten by the Bug 2! Glad to find you at Crafty Sentiments this week. This is beautiful !!! I love the whole card , you designed this perfectly !! Thank you so much for joining us at BBTB2 ! WOW! Love the clouds on this beautiful card! Thank you for participating in the MelonHeadz Friends Challenge! I hope you'll join us again real soon! Hello and welcome! So this is me. My name is Amy and I am a mother, a daughter, a sister, an aunt and a friend. I am an artist and I will forever be a schloar. I love to scrapbook, make homemade cards and decorate cakes. I am a crafter. 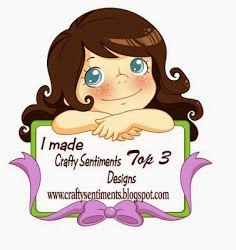 I enjoy sharing my love of crafting with you and hope you find inspiration within my posts. I also have an Etsy shop called Burnish and Brayer Designs. Feel free to browse any or all of my posts, visit my shop and please leave comments or suggestions. I love reading them! May you have a blessed day! 100 Follower Blog Candy Winner! Everything on this blog is (c) 2012-2013 Amelia Andrade. . Picture Window theme. Theme images by suprun. Powered by Blogger.